Treating your lady shouldn't just be reserved for special occasions. 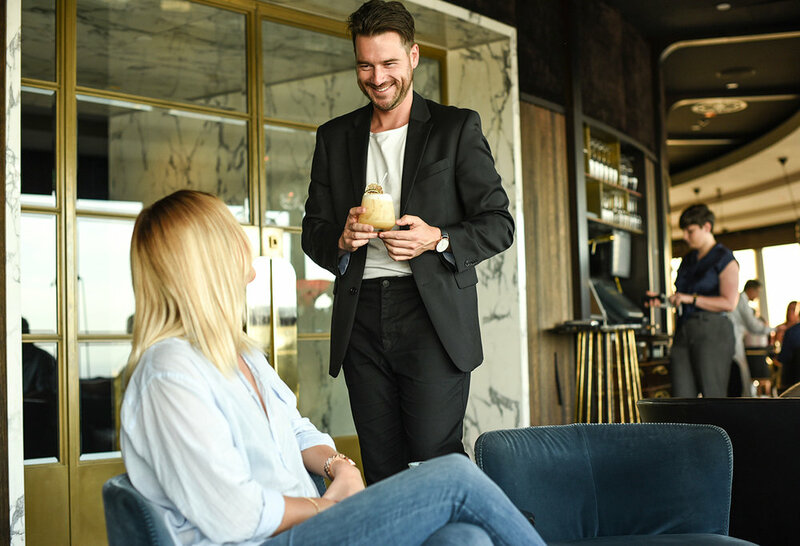 I know it's very easy to slip into the rinse & repeat routine of the busy working week and as such date nights don't even appear as a blip on your radar, yet alone make it into your social calendar. However, if you're often finding yourself on the receiving end of such comments like 'we never go on any dates' or 'when will you take me on a date?' then guys - it's a red flag - you've gotta fix this and quick. No matter the day of the week it's always a good time to celebrate being together, and it's your chance to take some initiative (go you!) to set up a date with your gal. And let's be honest she'll be looking forward to putting on that new dress she just purchased from ASOS. This was our first time experiencing The Sugar Club and yes we can confirm it's sugar sweet. Pun fully intended. 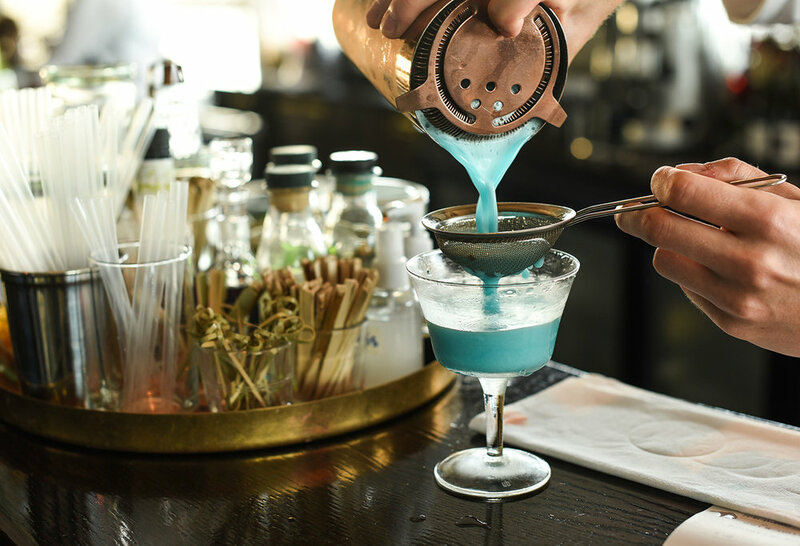 It's quite an exciting mini-adventure heading up 192 odd metres to see the vast views of Auckland City and the surrounding Hauraki Gulf, but that's just the backdrop to an evening full of sensational cuisine and some bloody delightful drinks. We arrived up to level 53 just a little before our 6:30pm booking as the sun was making its journey home. 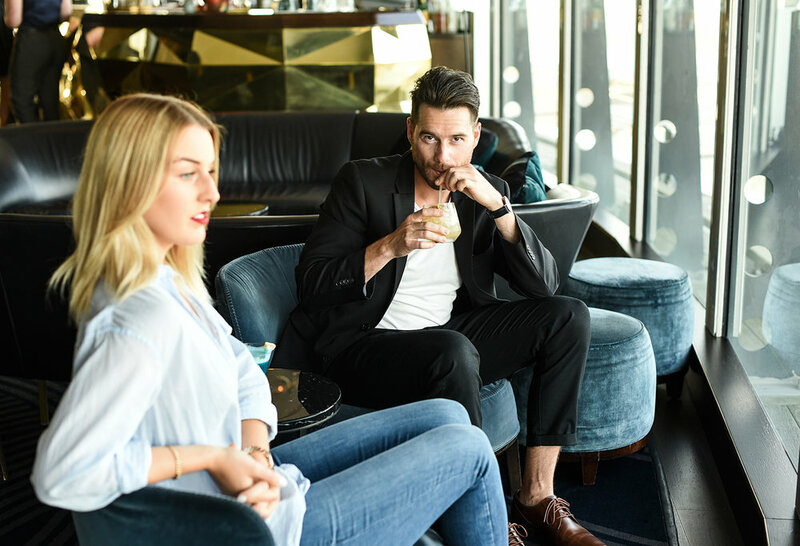 We thought before we headed towards our table we'd hit the lounge for a drink and soak up the art deco-inspired setting and check out the expansive views. I didn't waste any time in ordering a cocktail named Stolen Kiss - a spiced rum mixed with amaretto (almond liqueur), almond syrup and lime. No word of a lie, it's the best rum cocktail I've ever had. So obviously I had two. Alex joined the cocktail party for two and her choice was gin (as always), mixed with cherry and ginger. Sounded healthy. As you can imagine with those flavours it was tasty and Alex was raving, so I stole a few sips. After trying to pick out my childhood home all the way over in Devonport, we ventured to our window table and met with our waiter Dylan who talked us through the menu highlights. And there were many. 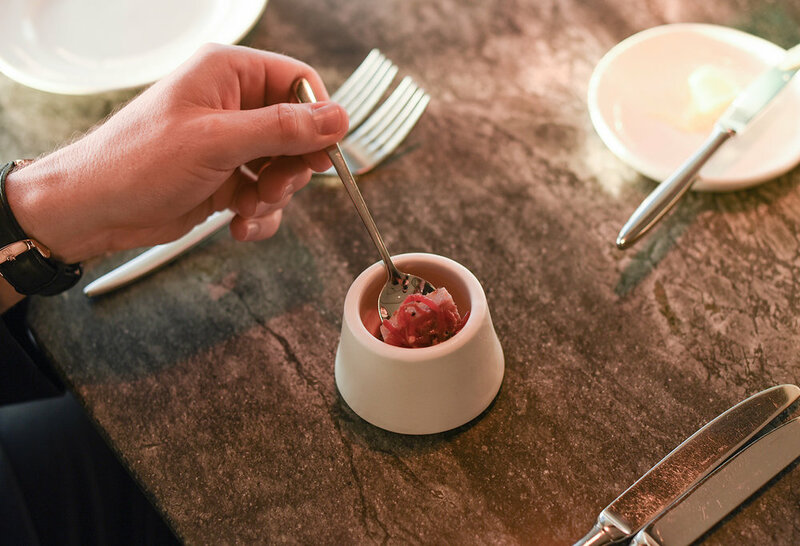 Head Chef and Kiwi boy Peter Gordon is well known for his fusion cuisine and using seasonal ingredients from our stunning country, and we were not let down. Even from the moment we had the pleasure of eating the palette cleanser - which was a little delicate piece of tuna bathed in a pool of citrus - it was an explosion of taste that really set the scene for the night. 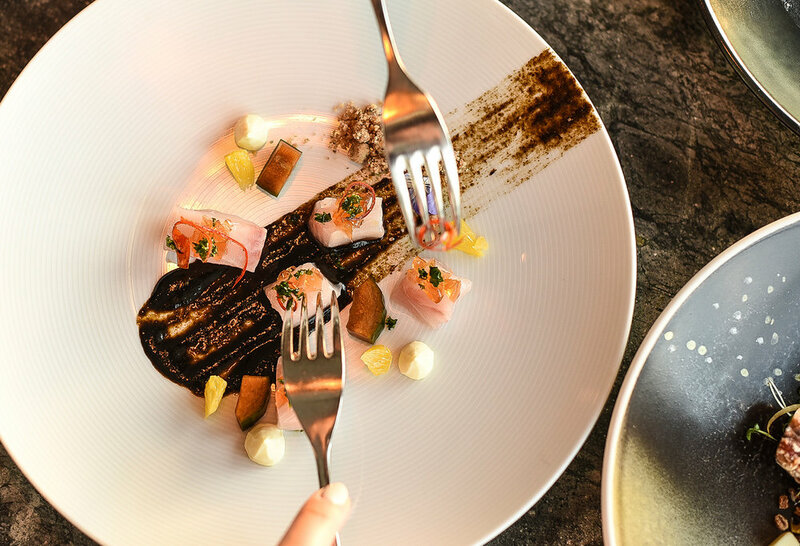 The Sugar Club dinner menu puts an emphasis on seafood and as a result, you're spoilt for choice. From octopus, hiramasa kingfish, paua, whitebait & crayfish, there's seafood galore. 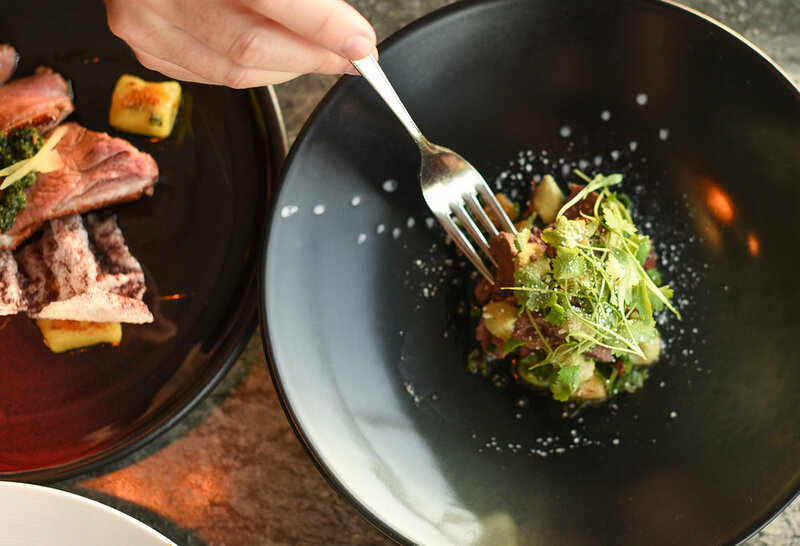 But don't worry, there's plenty for those meat lovers too (my hand is up), there's decadent venison, tender spiced beef fillet and lamb rump from the Hawkes Bay. Hungry yet? Because we're in for the three courses - a discounted offer currently running - we selected four dinner dishes between us; the venison, kingfish, beef and octopus. Alex and I are good at sharing so we rotated the plates to allow a little sampling of everything. You know you're enjoying the exquisite cuisine when there's a lot of head nodding in silence. The vibrant colours on each plate matched the flavours that followed, all very bright and gorgeous - yes I'm beginning to sound like a legit food critic right?! Of course after soaking in all the beautiful moments dinner gifted us, it was time for our dessert choices. We went with the peanut butter parfait, with moromi miso caramel, sesame, paprika and orange, we liked the sound of the beans chocolate cru virunga, which is a mousse with spiced pineapple, mochi and tamarind caramel. The three-course dinner definitely set the bar high but the night wasn't over. That was just part one. We were now off to an evening at the theatre, to get a bit of culture in us. While the theatre may not be an obvious choice for many guys, I can assure you it's a fun night out. The theatre was a particularly good choice in this instance, as it has a special place in Alex's heart. She's been a theatre bunny since school, performing in plays and shows and even continues with theatre training nowadays. So it was a no-brainer that a good follow up after dinner was some entertainment at the theatre. The SKYCITY Theatre hosts a stack of different shows throughout the year and coming up later this month it's Grumpy Old Women, sounds like art intimidating life...should be hilarious. 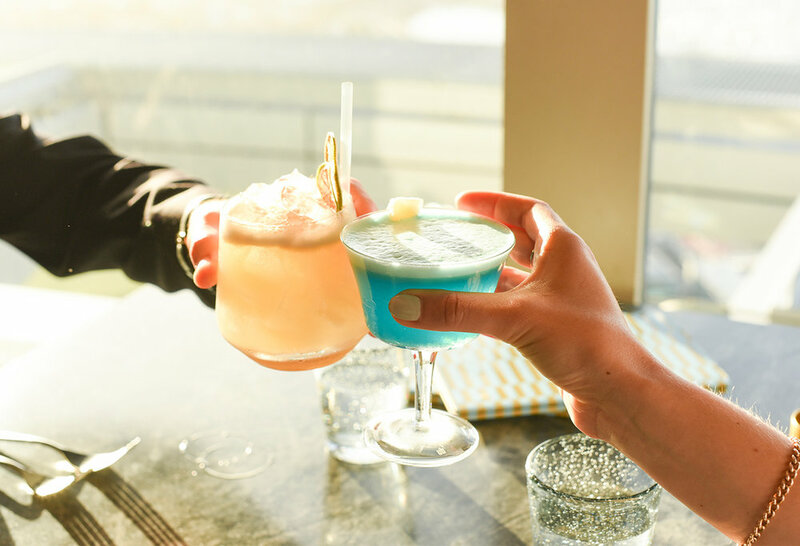 The beauty of a dinner & theatre date-night-combo is that if you book any SKYCITY Theatre show you can dine at The Sugar Club on the same day for only $59pp (valid for seating between 5:30-6:30pm, bookings essential and remember to mention the $59 theatre offer). 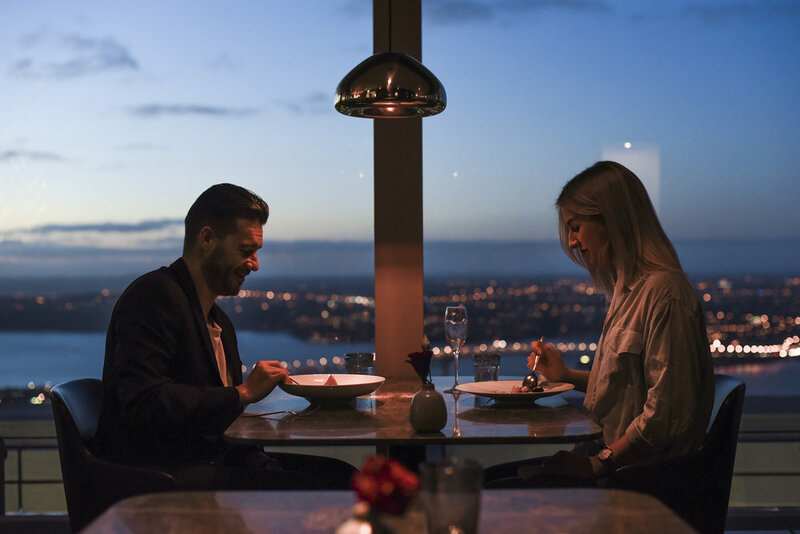 You'll get a sensational three-course meal in a world famous restaurant, with the best views in town. It'll impress the socks off your date too. Also to make life easier park at SKYCITY and get your ticket validated by the restaurant. Just don't forget to actually pay the discounted rate that's remaining like I did. All that's left now is to lock in a date night, spray on some smell nice & put some gel in your hair and you're good to go. 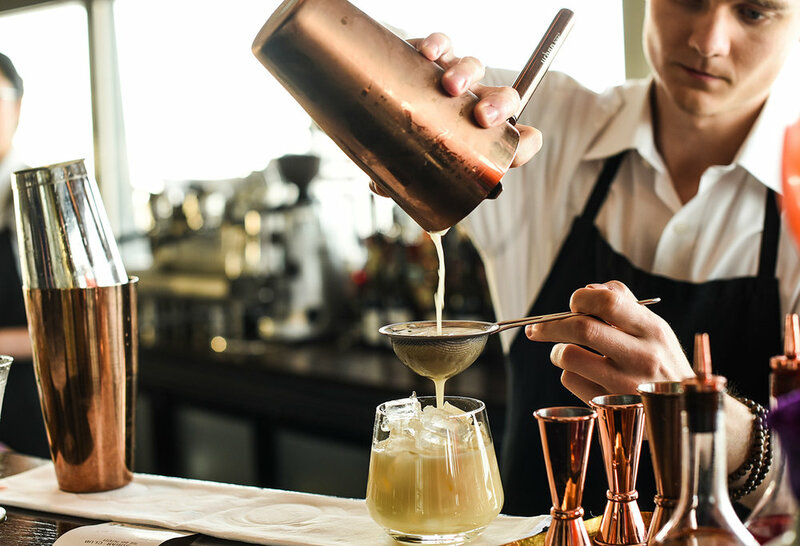 This article was created in collaboration with my friends at SKYCITY. All choices, words, opinions and creative direction are all me. Jaheb wearing // Neuw Denim Rude Boy trousers, Silent Theory tee, Tommy Hilfiger blazer, French Connection sneakers & Daniel Wellington watch. My gorgeous date Alexandra wearing // Bassike shirt, Cotton On jeans & shoes and Marc Jacobs bag & watch.